Women's sport weekly wrap: Where are the women in rugby? Each day I read another story about how our Australian Super Rugby teams are no longer competitive, or the lacklustre performance of the Wallabies, or how crowd numbers are dwindling and fan engagement is lacking. I’m sick of it. The Australian rugby community is obsessed with talking about whether the Western Force will survive, how the conference should be structured, and how the entire competition needs an overhaul. Every time I read one of these articles, I feel anger bubbling inside me and I want to stand on a chair and scream at the top of my lungs. Years ago, I used to watch rugby. My team was the Waratahs and my favourite player was Phil Waugh. But my interest was short lived. It hung on by a thread for a long time because of players like David Pocock and Jesse Parahi, but the reality was (and still is) that for me to follow and actively engage with rugby, I need to see it doing much more to support and encourage female involvement. It’s not good enough that we continue to talk about the issues rugby has without being honest and saying that the sport is not doing enough to support women, particularly when I see other sports continuing to take strides in this space. Let me be clear. When I say strides, I don’t necessarily just mean playing the game – women in sport is much wider than that and encompasses governance, media and refereeing. Cricket has led the way in participation, with the introduction of the WBBL and pay increases for female cricketers. Rugby league is a leader when it comes to media, particularly through the likes of Yvonne Sampson, Lara Pitt and Erin Molan, while women are becoming more visible at an executive level in our clubs. The AFLW was embraced by Australia and suddenly we were seeing women on television playing the sport they love and representing some of our biggest and most popular sporting clubs. I haven’t even mentioned netball or football yet. When it comes to rugby though, where is the proactiveness from the ARU? Thank goodness for the Aussie Pearls right? I read an article about the Pearls this week, where they were spoken about as the only bright spark in Australian rugby at the moment. 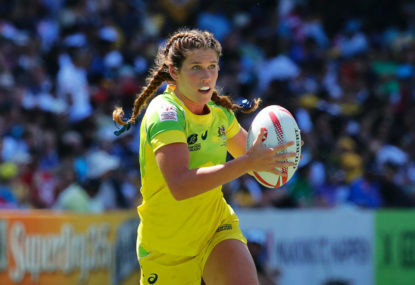 Following the recent announcement that women’s sevens will feature at the Commonwealth Games in 2018 for the first time, Women’s Sevens Player of the Year Charlotte Caslick said the Pearls are proud to be leading the way and delivering good news to Australian rugby fans. Obviously, the sevens product is excelling and the success at Rio has buoyed this. But how much of this success was because of the ARU? I want to see more women in the media talking about rugby and on the boards of Super Rugby clubs. But most of all, I want to see the three female board members on the ARU board – Elizabeth Broderick AO, Ann Sherry AO and Pip Marlow – stomping their feet about the Wallaroos. Do you know who the Wallaroos are? Because until a year ago, I certainly didn’t. They are Australia’s women’s national rugby union team and the last time they played a Test match in Australia was in 2008. In private, I describe the Wallaroos as the saddest story in Australian sport. I don’t like to say that in public, but it’s about time I did. The ARU’s approach toward them has been to cry poor and demonstrate over and over again that they are not a priority. 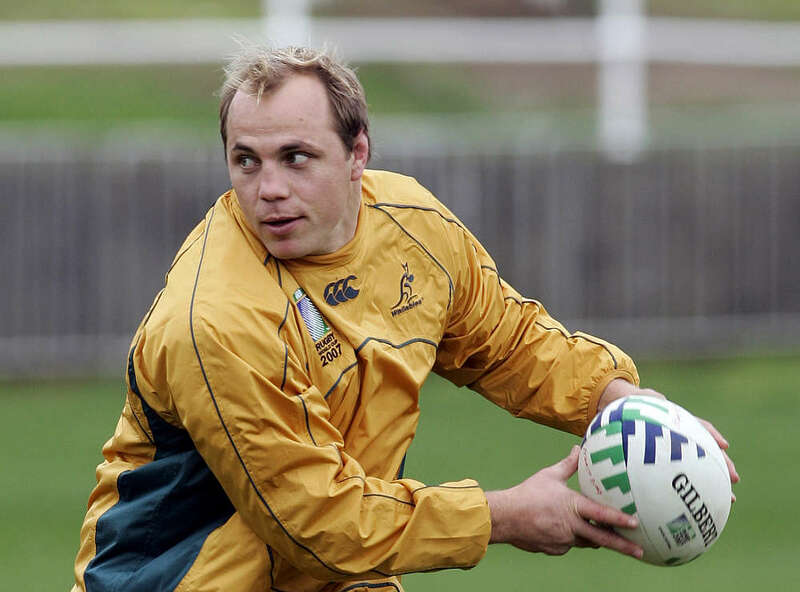 I have heard stories that when they represented Australia last year against New Zealand, they had trouble getting the coat of arms on their jersey (despite being Australia’s national team). Without the support of Josephine Sukkar and Buildcorp, these women would still be paying to represent their county. How can we possibly expect the Wallaroos to be competitive at an international level when they only play one Test match every two years? How can the ARU possibly suggest that it does not have the funds to commit more to this team when Wallabies are paid hundreds of thousands of dollars. It’s funny – the question I’m constantly asked is how much longer until we see an NRL women’s competition. It frightens me that our Australian national women’s rugby team has such little support, to the extent that no one is asking when we are going to see a female rugby competition running alongside the Super Rugby conference. You can’t be what you can’t see and at the moment no one is seeing an opportunity for women to play 15-a-side rugby. The ARU should be stepping up and there is no time like the present, with the Wallaroos playing in the Rugby World Cup later this year. Helping them to play a couple more games before it begins would be a good start – that’s why I was so pleased that the ARU announced last month that the Wallaroos will play New Zealand, England and Canada in New Zealand this June. This is a really good start and means that this will be the best prepared Wallaroos side for a World Cup ever. • Sally Pearson won her eighth national crown in the women’s 100 metres hurdles at the Australian Athletic Championships. • Fifty-two women have been chosen to travel to Canada in June to represent Australia in our first ever gridiron team at the International Federation of American Football Women’s World Championship. • Gracie Elvin made history as the first Australian woman to stand on the podium at the Tour of Flanders, finishing second.